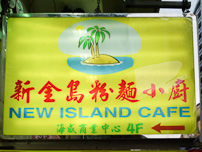 If you've ever got the airport bus or taxi into Kowloon you may have seen this lovely old sign for New Island Cafe on Canton Road, opposite all the new fandangle hotels and shopping centres. Well the groovy retro looking signage just made us want head upstairs. We find it's your typical Hong Kong cafe. We do our usual meal reconnaissance and glance around other tables to see what's popular. These big plates of fried noodles seem popular with the groups of boys choosing to fill up before heading back to the kitchens of the hotels across the road. 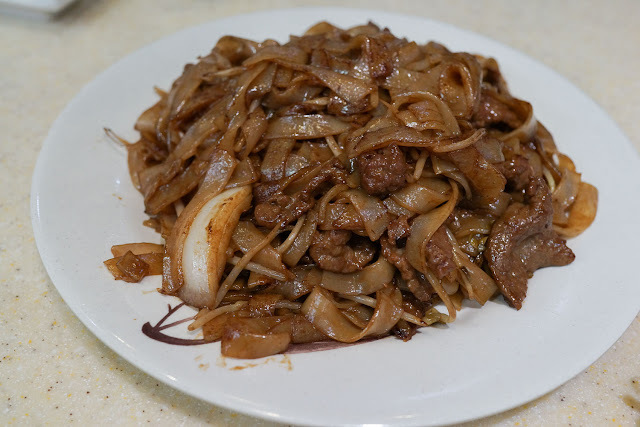 They are simple stir fried rice noodles with slices of beef, lardy and filling. 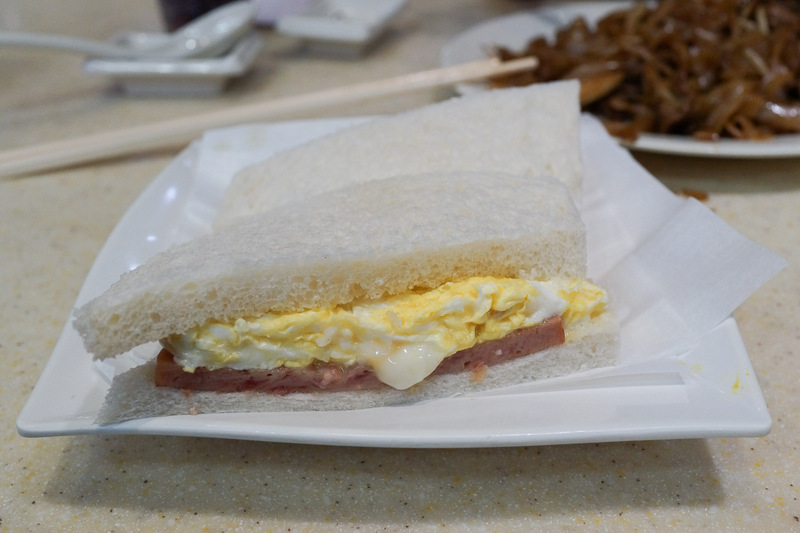 Luncheon meat and egg sandwich. Simple and wonderful. Nothing sums up Hong Kong for us more then this sammich. 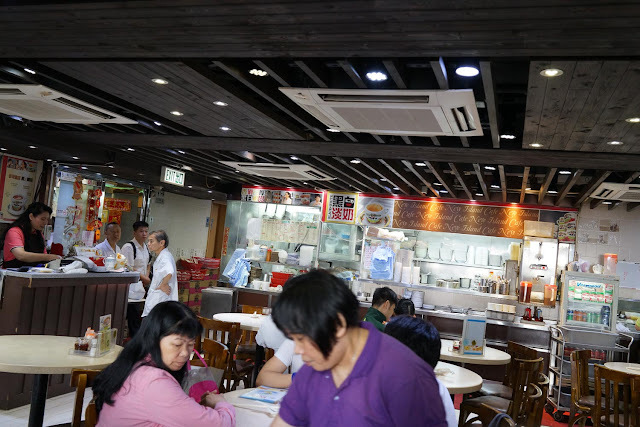 Fishball soup, another Hong Kong classic. This version had four different types of fishballs in the one bowl, some filled with pork mince, others the usual bouncy fish style. 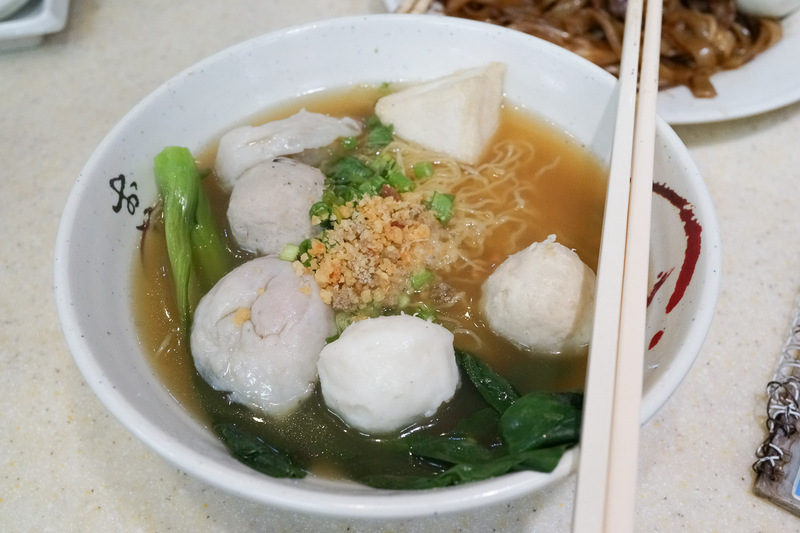 Fishballs always taste better in Hong Kong than Australia, we wonder why. 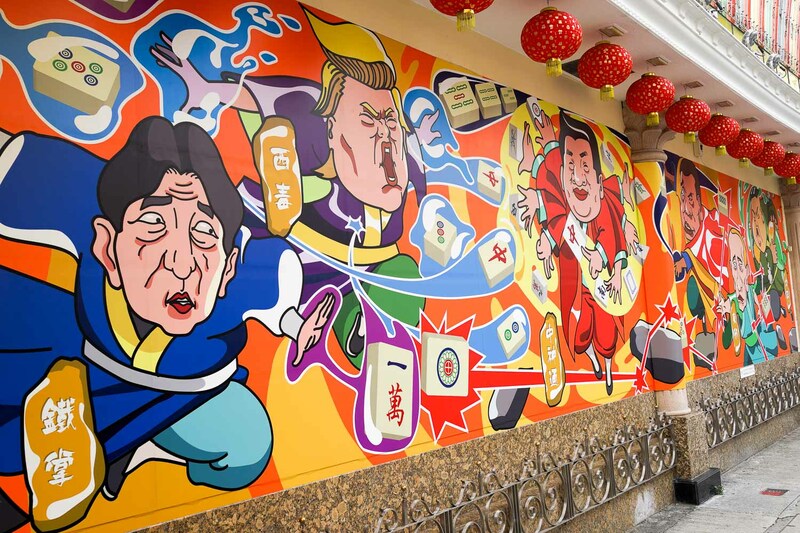 It's not that we want to have them replicated at home, we love the difference that only travelling can give you. 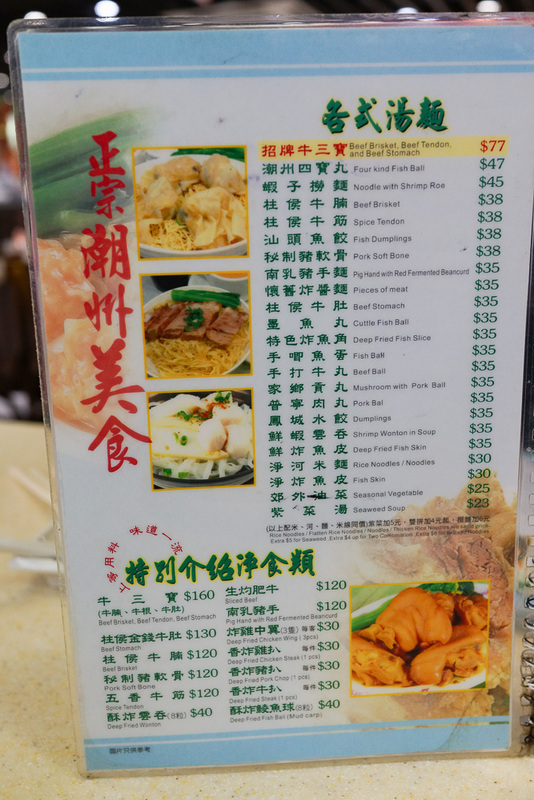 This style of Cantonese here is simple food and we love it when the mood strikes. 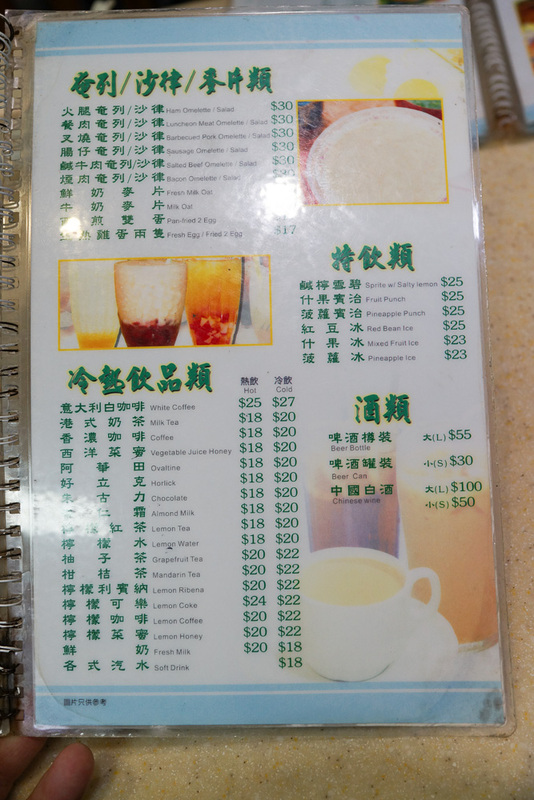 Ching Yip Coffee Lounge in Sydney Chinatown gives us the same simple food jollies. 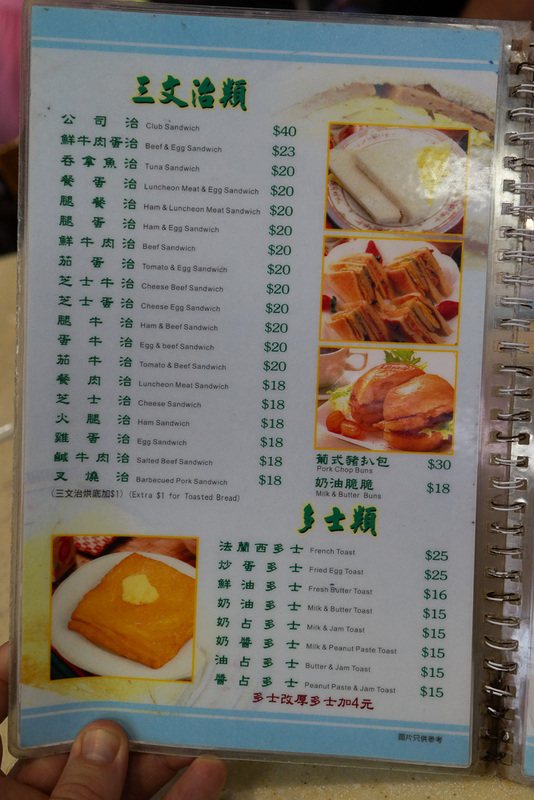 ...and perhaps a pork chop bun. Folks on the outside verandah enjoyed a beer and a smoke on the balcony, we should have joined them there. 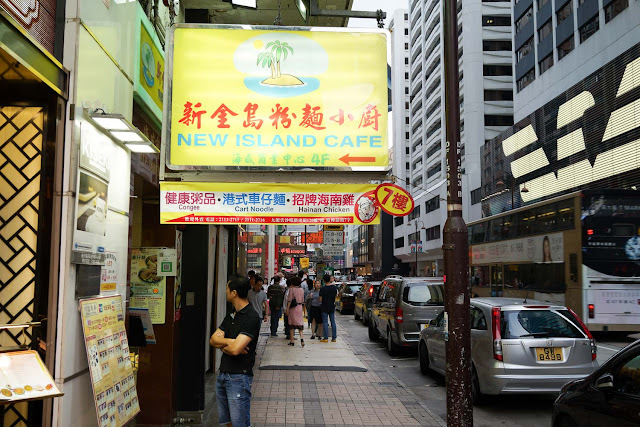 And if you're not sure about New Island Cafe there's a fancy-pants Chinese resto next door that definitely looks worth a crack. New Island Cafe is at 4/F, 118 Canton Road, Tsim Sha Tsui. Along a wall up the road, the world explained. World leaders pretend.